For the past couple of years I have tried MANY of the more reliable and popular Dinner Home Delivery services out there – Blue Apron, Home Chef, Hello Fresh, Gobble… At first it seemed like a great idea while we were still working on A House From Hell. I had an offer emailed from a friend for a nice discount to give Blue Apron a try… Long story short the recipes started to repeat themselves, the selection of recipes dwindled to where I was skipping more weeks than I was ordering and the issues that required customer service became more and more while the service became slower and slower while also less accommodating. I even encountered a customer service line that was outsourced to somewhere that English was not their first language and the communication barrier was unbelievable! Well, all I can say after this last box is NO MORE!!! Gobble is the last one we tried and I was SORELY DISAPPOINTED! There was a HUGE discount to give them a try and I STILL overpaid for what arrived. NOT only were many of the ingredients NOT fresh, many were also pre-prepared and not well at that! 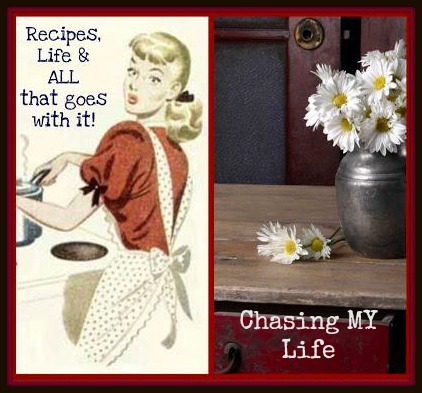 The original goal was to save time and money while trying some new and innovative recipes, but since that is NOT the end result I’ve cancelled all the services and will be back to doing my own planning and shopping. 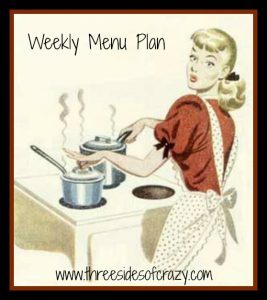 This seemed like a good time to re-run this section on how I menu plan and save money while doing it. There is more to menu planning than just deciding what to make for dinner, at least for the average family. We’re a military family used to getting paid once a month and trying to make it last. So for me, menu planning also encompasses recipe scouring, coupon clipping (we love to read the Sunday papers and have coffee. One of the things I always go for first is the coupons to see what I can save for us – hubby always laughs when I get excited at a large coupon for something already on the list – LOL), sale ad reading and logical common sense planning. 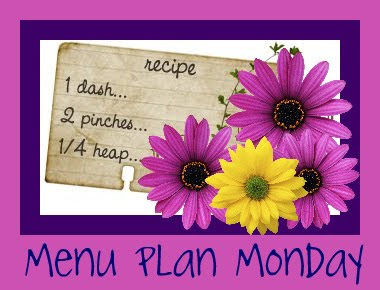 I do participate in Menu Plan Monday, but I actually prepare my menu for the entire month all at once and then just break it up for posting. A little organization goes a long way. I start the last week of the previous month with checking out what I already have in the freezer inventory and then the ads for my local markets for the upcoming week. I see what meats will be going on sale and then scour my recipe file for recipes to match. One of the biggest things I do to help not only with cost of ingredients, but also waste is to make sure that I back recipes up to each other that use similar ingredients that I can buy in bulk. For example if a recipe calls for half an onion for Monday night’s recipe, I make sure Tuesday night’s recipe uses the other half. I also know which meals we’ll probably have leftovers for so I plan to either freeze part of it for a future meal or plan a C.O.R.N. (clean out refrigerator night) within my plan if there is only going to be a little of this and that leftover. I write my list and then I match up the coupons for whatever staples (flour, sugar, eggs, butter, etc…) I need and then the luxuries if there is room within the budget. If there is a really good sale I buy in super bulk for the following month also. Now I know this sounds like a lot of work, but the whole process takes less than an hour and then it’s done for the month. It seems I have every scrap of a recipe I have ever saved as well as many of my grandma’s too. It’s like an obsession with me. If a recipe sounds good in a magazine, I figure I can make it better based on my family’s likes and dislikes and tuck it away to try and manipulate at a later date. I recently decided it was time to clean-up this mess. I found an old metal LP file box at a garage sale for 50 cents and dressed it up a bit so it didn’t look like a trash bin on my kitchen counter. (it was a beat up lime green with stickers everywhere). I have written 2 family reunion cook books in the past which helped some with eliminating the scraps of paper and I’m also in the midst of writing a Tastebook to use as family Christmas gifts that is helping to clean up this mess on a permanent basis. I have a perpetual list on the counter and every time we use something or run out of something, everyone is trained (finally) to list whatever they used or ran out of on an ongoing basis. We keep a pretty concise calendar with everyone’s activities, appointments, meetings and such on it. I also write what we will be eating on each day so they’ll know what to expect. If for some reason we have to cancel a night I will rearrange the week so that the meal actually canceled is one using something from the freezer, not the fresh ingredients I’ve already purchased. 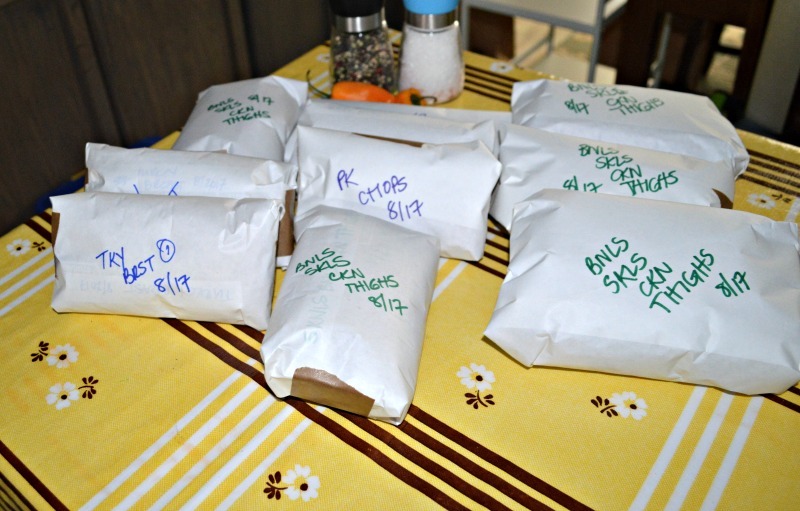 When I do the shopping I buy in bulk to cut the cost and since I have my menu planned ahead of time, I break down the bulk package into meal appropriate sizes before freezing when I get home. I originally wrote this post years ago, but nothing has changed – I still do things exactly the same. I start with LARGE bulk packs of meat. I then break them down by size and meat right down to cutting certain recipes into bite sized pieces. Then I wrap them in freezer paper because I really hate freezer burn! And I package them into pre-labeled ziploc bags for the freezer.